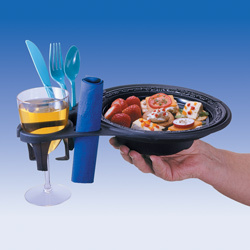 Hold your plate, beverage and utensils ALL IN ONE HAND, leaving your other hand free to eat, greet and enjoy! Life is a balancing act, eating doesn't have to be! until that someone is YOU. Special Limited Time Offer! Save $5 per set! Securely holds cups, cans, bottles, even a wine glass! Why you need the Plate Caddy. 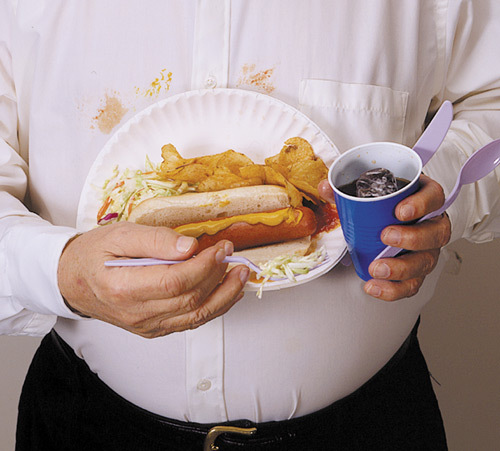 Ever been at a BBQ, picnic or other function and found yourself struggling to eat the food off the plate, while holding your plate in one hand and beverage in the other? We have all been there. With the Plate Caddy that problem is forever solved! 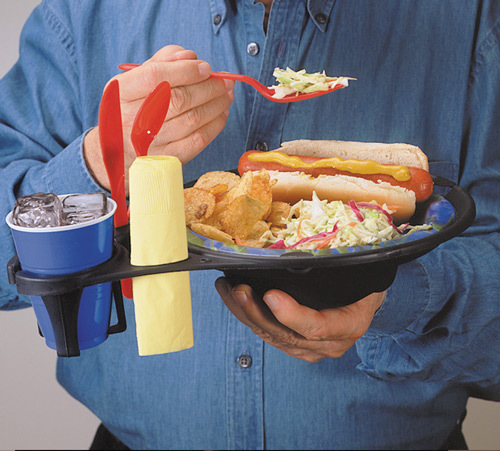 Where you would use the the Plate Caddy. Anywhere! 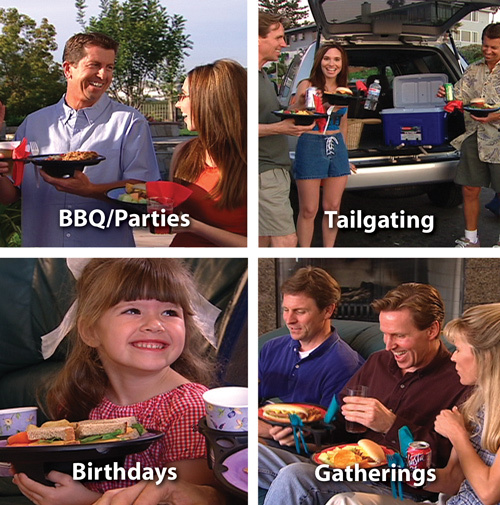 The Plate Caddy is perfect for in-home gatherings, backyard events, BBQs, picnics, tailgating, camping, at the beach, on a boat and more. 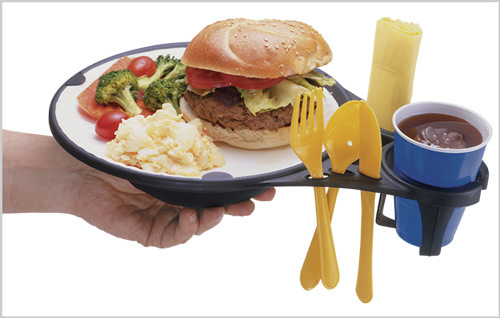 Comfortably hold your plate, beverage & utensils all in one hand, perfectly balanced! 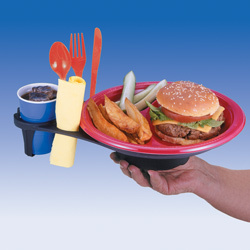 The Plate Caddy is held from underneath providing comfort, balance, stability and is right or left hand friendly. 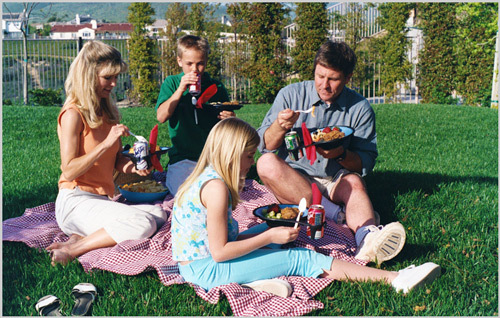 The Plate Caddy also rests comfortably on your lap or sits safely and level on a table or other flat surface. Perfect for casual, formal or everyday use! 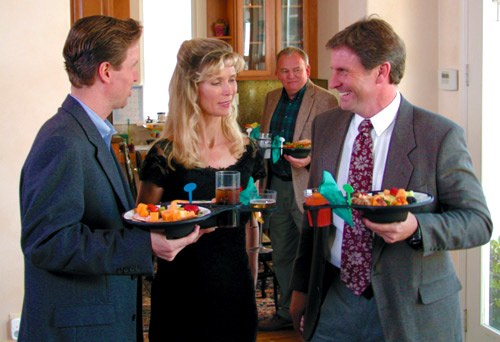 No matter where you are or what the occasion, the Plate Caddy makes eating and greeting a pleasure! Great for parties, sporting events, weddings, company meetings, trandeshows, catered affairs and more! 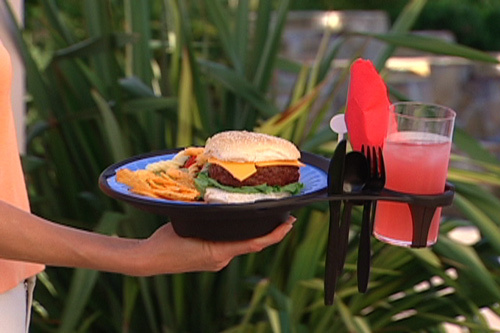 The Plate Caddy is a perfect compliment to any event, or simply when relaxing and watching TV at home. Since the Plate Caddy holds the plate of your choice and is not actually the plate, it allows you to choose your own color scheme, print theme, whether casual or formal. Great for birthdays, Halloween, bridal showers, Hanukkah, Near Years, Christmas, Super Bowl parties, and more! 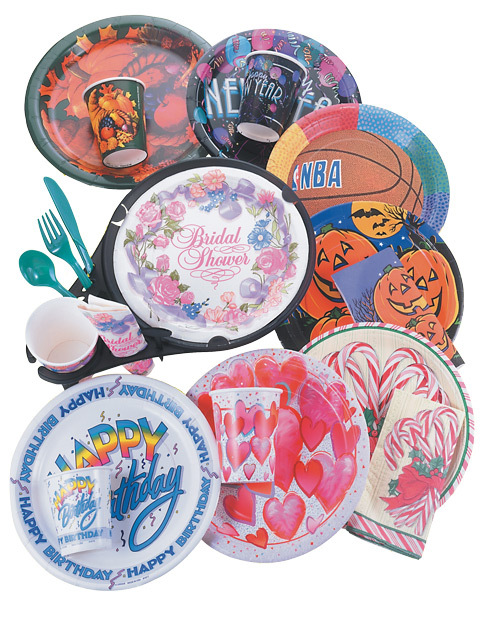 It allows you to display themed plates, napkins and cups to keep your event looking great. 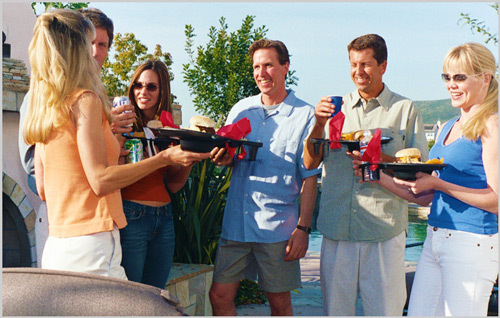 Be the perfect host! 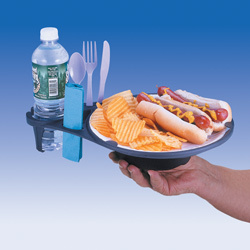 Made of high quality plastic material, the Plate Caddy is durable, reusable, stackable, lightweight and dishwasher safe. 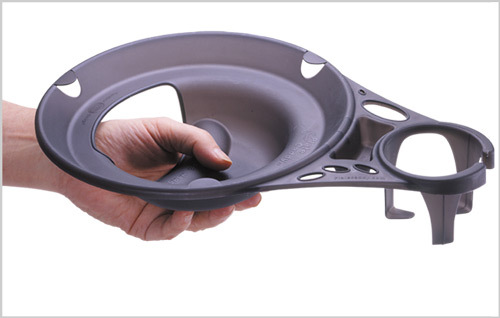 The Plate Caddy will provide years of ease and convenience. 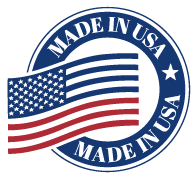 The Plate Caddy is proudly manufactured and packaged in the U.S.A. 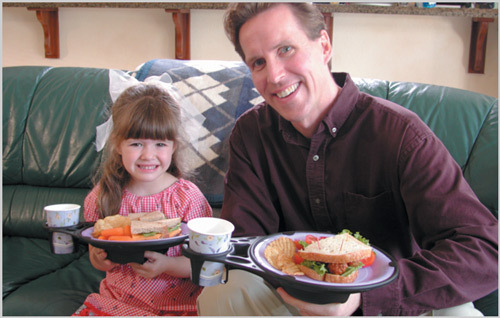 The makers of the Plate Caddy also provide fulfilling work for the developmentally disabled in the assembly and packaging of their products. We believe we all benefit from working together. These things are really awesome. They do EXACTLY what they advertise. If you throw parties a lot, you definitely need to get these. These are great for making it easy to entertain a lot of people in a cramped area. They actually were an ice breaker. People could not get over how cool and smart they are. We use the latest in encryption technology to ensure that your experience with us is kept secure. 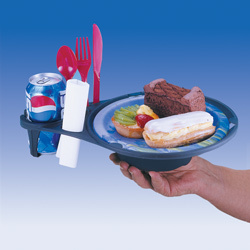 Sign up to our newsletter today and receive special promotions and offers for the Amazing Plate Caddy. We respect your privacy and will never share your email with anyone or clutter up your inbox. You should receive an email shortly to verify your email address. Once your email is verified, you will begin to receive emails with special offers and exciting news about the Plate Caddy. 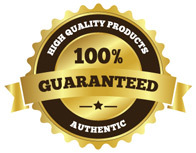 Thank you for your business and interest in our products!